A world-class chef who has furthered the culinary arts in British Columbia and Canada, Mr. Bruno Marti is the owner of La Belle Auberge, an award-winning restaurant in Ladner. Mr. Marti has led culinary teams in many international competitions, including coaching and competing in the Culinary Olympics and other competitions. He was a member of the Canadian Culinary Olympic Team that won the world championship in 1984 and was honoured in the Canadian House of Commons by the then Prime Minister Brian Mulroney. Mr. Marti has also been an active participant in fundraising, hosting dinner events for numerous community and charitable causes. He has been a member of numerous prestigious international food and wine groups. 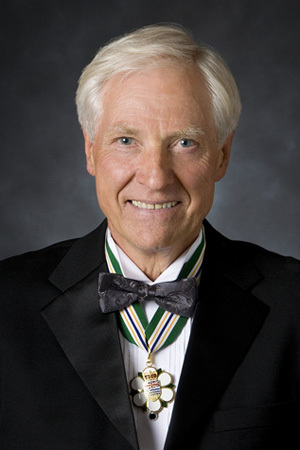 He is founder and chair of the BC Culinary Arts Foundation, past-president of the BC Chefs Association, and chairman of the Canadian Culinary Federation. In his kitchen, Mr. Marti has trained many outstanding cooks and chefs. He mentors high school students and culinary apprentices, many of whom go on to win awards and gain prestigious culinary positions around the world.